"We have to bust up the notion that we women are without limits, that we are capable of continuing to pile high our plates without them ever giving way." ​I grew up in a home with Ozzie and Harriet. I don't just mean watching "The Adventures of Ozzie and Harriet" on tv, which we did; but I grew up with them as parents. Ok, my parents names are Bill and Joyce, but for all practical purposes, they walked, talked and lived like Ozzie and Harriet. ​My father was up before dawn, and my mother was up before him cooking him breakfast and fixing his lunch. Off to work he went and by the time my mother woke my brother and I up for school, the kitchen was cleaned, she was dressed and a vision of perfection for the day. Once we were home from school, we completed our homework as Mom cooked dinner to have it on the table by 5:30 when my dad was home from work. Dinner was always together, always at home and always at 5:30. Our house was always clean. There was never - literally never - any state of unclean or disorganization [even the garage was kept swept and mopped]. Our clothes were always clean, pressed and hung, there was no piles of clothes or "laundry day" because laundry was done every day. It was the 60's and this was my normal. I watched this lifestyle on tv, I lived it in my home. It was my normal and I thought it was everyone else's normal also. I'm a just married, very pregnant soon-to-be-mom, with a full time office job, a long daily commute, a husband who drinks too much, a sink full of dirty dishes, piles of dirty clothes, three muddy dogs, a broken vacuum, we're eating cold pop-tarts for breakfast and driving a car that was practically held together with duct tape. I must have missed that episode of "The Adventures of Ozzie and Harriet." How did my mother do it? How did she make it look so easy? So together, so organized, so functional, so clean? 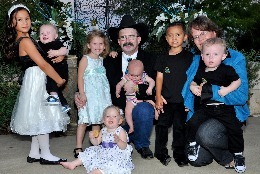 It wasn't difficult to see that my child's normal was not looking like my childhood normal. And just in case other's thought it might be difficult for me to see, they were always willing to point out that little fact. My mother was "Super-Mom" and I was "wonder-what-is-going-on-girl". ​"Oh you know supermom, don't you? In fact you have probably tried to be her a time or two in your life. Or maybe you constantly try to be her every day! At the very least you must have spied this completely out-of-control character in at least one of the circles of women with which you run. Supermom has super powers. Her super power of domestic cleverness is evident to all. She is able to not only keep her home immaculate; she bakes and cooks from scratch all of the meals she sets before her family on the handcrafted table she whipped up over the weekend after seeing a DIY project on her Pinterest board. Her home is tastefully decorated and looks HGTV-worthy no matter when you drop in. Having her home and food just so for her children is high on her list of priorities. ​My mission was clear. It was time to don a new cape. And so I did. Type A Super-mom Jana was born. We were organized with checklists everywhere for everything. The girls were in school now and involved - drill team, soccer team, softball team, PTA, student council, church youth group, etc. And if they were involved, Supermom was involved - no wait, Supermom was in charge and running the team or group or organization. Our home became an image of perfection and magazine picture perfect - well, at least when company was coming. Every celebration and birthday party became an event, an extravaganza! Themed parties, hand-made gifts and every-little-detail was perfectly coordinated and executed.. or else. And all this while climbing the corporate ladder of a Fortune 100 company with one of the most recognized brands in the world. Supermom, drill sergeant mom, whatever, we were high achievers and we looked great! But underneath and on the inside it was a different story. ​"... this 'I can do it all' character has a warped viewpoint. First, she believes that she must try to do it all in order to keep up her good standing in the church, community and workplace - and so others will not only like her, they will think she is extremely capable and completely competent. Trying to please others - and also make them not only like you but hold your capabilities in high regard - can be utterly exhausting. When we operate under this mindset, we wear ourselves completely out. What does this look like in the life of a mom? And why-oh-why do we keep living this way?" Hoodwinked, pg 82. ​What it looked like for this mom was a total spin-out followed by a crash-and-burn. 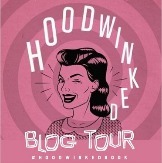 Oh how I could have used Karen and Ruth's book, Hoodwinked, then. 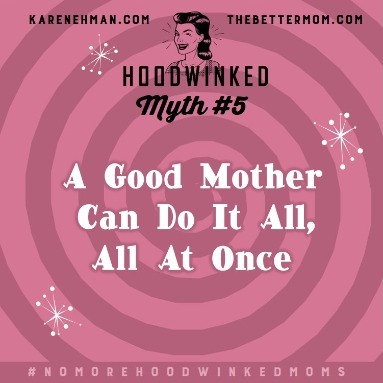 I so wish someone had come along side of me, sat me down, taken my hand and said, "Supermom is a Myth!". Forget SuperMom - and be a super mom. 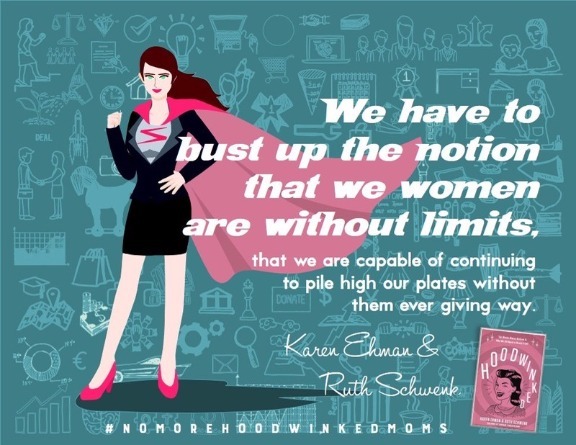 In their book, Karen and Ruth share eight ways to stop trying to do it all and start learning to be you. ​Sweet Soul Friends, I have long shed my Supermom cape and I think my family would tell you they were thankful when I did. My mom will always be a super mom to me because she was the best mom she could be for her children, she was the mom she was called to be. I hope someday my children will say the same of me. 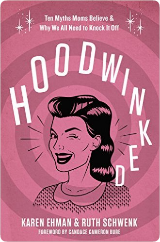 A free advanced reader copy of Hoodwinked was provided for review and promotional purposes. Jana, this is a a BEAUTIFUL post on a book I can't wait to read! Looking forward to sharing this on FB later today! Thank you Betsy, It's a really great book. I wish I'd had it when I was a new mom. Thanks for dropping by and for sharing the post! Blessings sweet Soul Friend! Ana, so glad you found us!! And thank you for sharing this on Pinterest! Blessings!